At long last, the Federal Open Market Committee, chaired by Janet Yellen, increased the Federal Funds rate by .25% for the first time in nine years. Prior to the Great Recession of 2008-2009, the Fed Funds rate stood at 5%, but has since remained near 0% for more than six years. A .25% increase is a minor step towards normalizing interest rate levels. Highly confident that the employment and inflation indicators are nearing target levels, the Committee indicated that four increases are likely in the coming year. Taking the rise in stride, yields on money market funds and short-term bonds rose in response. 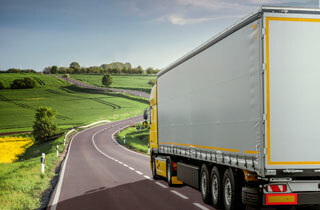 Although a small move, some relief is being enjoyed by income investors. On the heels of a frustrating and lackluster 2015, the New Year begins with a torrent of stock selling. The “crowded theater fire” selling spurred by distractions (China, oil, war mongering nations) and distortions (economic activity, strong U.S. dollars, corporate earnings) reinforces the importance of maintaining one’s investment plan despite the noise. At the time of this writing, investors are reeling from a string of 100-plus daily declines in the Dow Jones Industrial Average. We can expect increased volatility as we move forward, which is normal. Being typical Americans, we tend to “Westernize” the rest of the world with our thinking, an interesting conversational topic but not reality. The Chinese stock market is a newer exchange dominated by inexperienced retail investors whereas U.S. stocks are traded largely by professional investors. The panic seizing the U.S. markets appears to be a reaction to the sell-offs overseas and the intentional devaluing of the Renminbi (RMB). Getting out of the way of a herd of cattle is nearly impossible, however cattle do eventually tire and the cowboys round them up. While Chinese financial markets do not govern our investment strategies, we believe that it is important to discuss what happened. A couple of factors collided to create the panic selling in Chinese stocks. Government imposed sanctions on selling Chinese A-shares enacted last summer were lifted in January 2016. Also, China experienced capital outflows at the end of 2015, possibly fueled by the weakening RMB, and there was weaker than expected economic news for December. The lack of transparency around their policymakers’ priorities adds to the challenges facing China. The intentional devaluation of the RMB in mid- and late-2015 comes after a nearly thirty percent appreciation of the currency over the past five years (Source: Bank for International Settlements). Facing an economy growing at seven percent, a decent clip albeit slower than the past decade or so for China, the People’s Bank of China’s move to lower the relative value of the RMB may be an attempt to stimulate economic growth. Over the longer term, the currency moves will have a broader impact on their economy than the changes in U.S. domestic stock prices. U.S. Treasuries yields ended the year at levels near their yields at the beginning of the year. Slow and steady growth in the U.S. economy, which is good for financial assets, was overtaken by global concerns. Oil prices fizzled from $53 to $37 during the year as supply swamped global demand. Energy stocks and bond yields suffered as a consequence. One apparent goal of the Middle East oil producing countries by opening the well spicket wide is to drive out the high cost oil producers in the United States. The tactic may be working as the number of oil wells operating in the U.S. contracted two-thirds during 2015. Amidst the chaos in the financial markets, there are reasons to be cautiously optimistic going forward. On a national level, the housing recovery absorbed many workers who were displaced by the capping of the oil wells. Consumers are benefitting from significantly lower prices at the pump, essentially getting a tax cut and a raise eventually. Representing more than sixty percent of our economy, consumers are a powerful force who will spend that savings, adding stimulus to the economy. The Federal Budget, passed in December, includes a stimulus package that could add over .2% to GDP growth in 2016. Commercial and industrial loan volume rose eleven percent in the 52-weeks ended 12/23/15 indicating strength in the economy and banks’ willingness to lend. Looking at the numbers, the S&P500 Index returned 1.4% for the year ended December 31, 2015. Separately the four “FANG” stocks: Facebook, Amazon, NetFlix and Google, returned an astounding 83% for the same period. The internet “darlings” commanded huge returns as investors followed “hot money”. On the flip side stocks in the Energy sector declined more than twenty percent in the year demonstrating the bifurcated nature of the market last year. We believe the three underpinnings to the stock market are earnings, valuation and sentiment. U.S. corporations having faced headwinds caused by the strong U.S. dollar and energy company earnings drag are expecting an earnings recovery in 2016. Earnings are expected to be $118.73 for 2015, and $127.21 for 2016, a seven percent increase according to the folks at Zacks Investment Research. Valuations have become more attractive in the recent contraction. Two of the three tenets of the stock market are favorable. Sentiment remains a challenge as volatility increases in the market. Investment quality and suitability remain foremost in our investment strategy. A diversified portfolio of quality investments tailored to your individual situation will deliver good returns over time. Thank you for allowing the Old Second Wealth Management team to be of service. Please contact a member of the Wealth Management Department if you have any questions about this information. Greek Prime Minister Alexis Tsipras is pushing for the International Monetary Fund to remove itself from the country’s €86 billion bailout. This would leave the Eurozone to take full responsibility for supervising the economic reforms in Greece that the country’s third bailout depends on. The request by Greece risks alienating the IMF, which has in the past been a strong proponent of debt relief for the beleaguered nation. The IMF will likely decide whether to stay involved in the bailout shortly after the start of the new year. The Obama administration has imposed fresh sanctions against Russian business leaders and other entities with close ties to Vladimir Putin. Targets of the new sanctions included state banks and a defense company. The penalties are an effort to force Russia to stabilize Ukraine, though they come at a time of perceived cooperation between the U.S. and Russia in the effort to end the Syrian civil war and fighting ISIS. OPEC published its highly anticipated annual World Oil Outlook this week with observers hoping to gain insight into the cartel’s future plans. The group anticipates the price of crude oil to rise to $70/barrel by 2020 and $95/barrel by 2040. The forecast also called for demand to reach 30.7 million barrels per day in 2020, a 6% increase in the forecast from a year ago. Markets rallied in a holiday shortened week. The S&P 500 gained 2.79% and closed at 2,061. Likewise, the Dow Jones rose 2.47% closing at 17,552. Year to date, the S&P is up 2.20% and the Dow is up 0.95%. Interest rates rose a bit this week and the 5 year and 10 year U.S. Treasury Notes are now yielding 1.72% and 2.25%, respectively. The spot price of WTI Crude Oil gained 5.49% this week, closing at $38.04 per barrel. Year to date, Oil prices are down 37.10%. The spot price of Gold increased by 0.98% this week, closing at $1076.72 per ounce. Year to date, Gold prices are down 9.09%. Initial jobless claims came in at 267,000 which was a decrease from last week’s reading of 271,000. The Labor Department noted no special factors in the data. The four week moving average for claims now stands at 273,000. The core PCE inflation index (the Fed’s preferred inflation measure, excludes food and energy) rose by 0.1% in November. Over the last 12 months, Core PCE has risen by 1.3%, moving no closer to the Fed’s 2% inflation target. New home sales increased by a higher than expected 4.3% in November, though the report showed mixed results. New home sales increased in the South and West regions but declined in the Northeast and Midwest regions. Existing home sales fell by a sharp 10.5% in November, more than expected. The headline number reflected weakness across all regions, with the Midwest (-15.4%) and West (-13.9%) experiencing the largest declines. An agreement has been made on an omnibus spending bill that would repeal the oil export ban which has been in place for four decades. This is considered a win for Republicans who have been pushing for the ban to be lifted so that American oil producers could take advantage of low oil prices by gaining access to the international market. Also, the production tax credit for wind power installations and the investment tax credit for solar installations would be extended for several years. For the first time ever, a deal on climate change was signed in Paris over the weekend. The deal, in which participation is voluntary, is designed to limit the rise of average global temperatures to within two degrees of where they were before industrial times. Markets dropped slightly after a very volatile week. The S&P 500 lost 0.34% and closed at 2,005. The Dow Jones fell 0.79% closing at 17,128. Year to date, the S&P is down 2.59% and the Dow is down 3.90%. Interest rates rose a bit this week and the 5 year and 10 year U.S. Treasury Notes are now yielding 1.67% and 2.20%, respectively. The spot price of WTI Crude Oil dropped again by 3.00% this week, closing at $34.55 per barrel. Year to date, Oil prices are down 42.39%. The spot price of Gold decreased by 0.78% this week, closing at $1066.40 per ounce. Year to date, Gold prices are down 9.98%. The Consumer Price Index (CPI) was unchanged in November (mom), as a result of declines in food and energy; however, core consumer prices (Core CPI, excluding food and energy) rose last month by 0.18% with help from medical care services, education, and transportation services. Initial jobless claims came in at 271k for the week which was a decrease from last week’s increase to 282k. The four week moving average for jobless claims is 270,500. Housing starts increased by 10.5% (mom) in November which was higher than expectations. Multi-family starts increased by 16.4% and single-family starts rose by 7.6% which is a new post-crisis high. Only 53% of the nearly 3 million Americans that enrolled for college in the fall of 2009 had earned a bachelor’s or an associate degree by the summer of 2015 (source: National Student Clearinghouse Research Center). The impeachment process for Brazilian President Dilma Rousseff has begun this week with the selection of a special committee that will handle the first phase of the investigation. The selection of the committee went poorly for the President, as Brazil’s Congress chose representatives that were opposed by Rouseff’s supporters. Rousseff is being accused of tampering with the national budget to illegally disguise poor fiscal performance and a growing budget gap. In an attempt to help Puerto Rico avoid a bond default on January 1st, the U.S. Senate has introduced a bill to extend assistance to the island. However, the proposal stopped well short of giving the U.S. Commonwealth access to bankruptcy court, a measure that has been speculated on recently. The proposed measures would cut employee payroll taxes and extend as much as $3 billion in funding to the island, which is dealing with over $72 billion in debt and a 45% poverty rate. Markets fell sharply this week as the price of oil continued to fall. The S&P 500 lost 3.76% and closed at 2,012. The Dow Jones followed suit by falling 3.20% and closing at 17,265. Year to date, the S&P is down 0.25% and the Dow is down 0.69%. Interest rates rose a bit this week and the 5 year and 10 year U.S. Treasury Notes are now yielding 1.55% and 2.12%, respectively. The spot price of WTI Crude Oil plunged by 11.53% this week, closing at a 52-week low of $35.36 per barrel. Year to date, Oil prices are down 41.04%. The spot price of Gold decreased by 1.07% this week, closing at $1,074.77 per ounce. Year to date, Gold prices are down 9.25%. Initial jobless claims came in at 282,000 which was an increase from last week’s reading of 269,000. The Labor Department noted no special factors in the data. The four week moving average for claims now stands at 270,750. The University of Michigan consumer sentiment index rose in the first December estimate to a reading of 91.8 from 91.3 in November. Consumers’ assessment of current economic conditions rose, however expectations for the future worsened. Headline retail sales increased by 0.2% in November, below consensus expectations of 0.3%. Core retail sales, which go into the official GDP calculation, rose by a larger than expected 0.6%. There were solid gains seen in sales of electronics, apparel and food service expenditures. However, sales at gas stations continued to fall, reflecting the continued decline in gas prices. According to a new Pew Research Center report, middle class Americans now comprise less than half (49.9%) of the nation’s population, down from 61% in 1971. For the report, middle class was defined as households earning between 67% and 200% of the overall median income in the U.S. after adjusting for household size. For example, a family of three would be categorized as middle class if its total annual income ranged from $42,000 to $126,000. 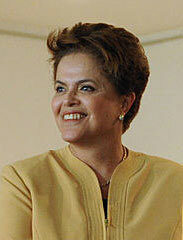 *Image of Brazilian President Dilma Rousseff. Photo credit: Agencia Brasil, via Wikimedia Commons. License: Creative Commons Attribution 3.0 Brazil License. (See, https://commons.wikimedia.org/wiki/File:Santos_and_Rouseff.jpg). Many assume the first step to investing means going the do-it-yourself route and selecting among the thousands of mutual fund companies, online brokers and robo-advisors to create your own strategy. But, there is another option to the off-the-shelf solution. Banks have not only been in the wealth management business from the start, they are well-suited for meeting the needs of each investor, not just the average investor. Part of the appeal of a bank solution is that it provides services, not just products. This is important because as you move through your life, we can adjust our services and strategies to remain appropriate to your current needs. From simple savings and basic brokerage services to investment management and trust and estate needs, banks can accommodate your financial life as it changes. While self-service tends to be the cheapest route in money management, it’s hard to do by yourself. Change ripples through the global markets, and reactions can be swift. Having a dedicated team watching over your investments helps ensure you’re well-positioned for whatever occurs and able to take advantage when opportunities arise. Robo-advisors and passive strategies have their uses, but algorithms can’t factor in personal preferences or your changing circumstances over time. Instead, they can generate what is expected to work for the average investor. That may not be the same as what’s right for you. When it comes to investing, the choice of providers can come down to a one click solution, as with the robo-advisor options, versus a one-stop solution. Banks like ours offer a one-stop solution with answers that adapt to your situation and the constantly shifting market and economic conditions that affect you. European Central Bank President Mario Draghi announced a new stimulus plan this week that included extending the central bank’s €60 billion per month bond buying program to at least March 2017. In addition, the ECB cut its deposit rate further into negative territory, dropping it 0.1% to -0.3%. However, the measures appear to have disappointed the markets as European indices were down significantly following the announcement. ECB action thus far has failed to spur significant economic growth and inflation in the Eurozone. The International Monetary Fund has added the Chinese yuan to its Special Drawing Rights Basket this week in a much anticipated announcement. The addition will be official in October 2016 and will increase China’s economic standing in global finance as it makes the yuan more freely accessible and tradable. The House and Senate have reached an agreement on a five year highway bill that will add $305 billion to infrastructure spending that is sorely needed. The bill also reauthorizes the Export-Import Bank which had its charter expired in June after some Republicans targeted it as a waste of government funds. The bill has now moved to President Obama’s desk where it is expected to be approved. At its semi-annual meeting in Vienna this week, members of OPEC have decided to maintain the cartel’s production ceiling of 30 million barrels per day even as oil markets remain in a supply glut. It was just over a year ago at the meeting when OPEC made the same call to maintain supply at current levels, sending crude oil prices spiraling lower. Many believe that OPEC’s stance is an attempt to drive out U.S. shale producers that have much higher costs of production. Markets rose modestly in volatile end of week trade, falling on the ECB’s stimulus measures that were less than expected and then rising on a moderately strong employment report. The S&P 500 gained 0.12% and closed at 2,092. The Dow Jones followed suit by rising 0.36% and closing at 17,848. Year to date, the S&P is up 3.56% and the Dow is up 2.50%. Interest rates rose a bit this week and the 5 year and 10 year U.S. Treasury Notes are now yielding 1.71% and 2.27%, respectively. The spot price of WTI Crude Oil fell by 3.76% this week, closing at $40.14 per barrel. Year to date, Oil prices are down 33.07%. The spot price of Gold increased by 2.74% this week, closing at $1,086.44 per ounce. Year to date, Gold prices are down 8.24%. Initial jobless claims came in at 269,000 which was an increase from last week’s reading of 260,000. The Labor Department noted no special factors in the data. The four week moving average for claims now stands at 269,000. The November nonfarm payroll report showed the addition of 211,000 during the month, beating expectations of 200,000. Employment growth over the prior two months was revised up by a total of 35,000, bringing the three month average to 220,000 jobs created. Average hourly earnings increased by 0.2% in November, bring the 12 month increase in wages to 2.3%. According to the Government Accountability Office, an estimated 9,300 Americans will turn 65 years old each day in 2016, representing the 6th of 19 years that “Baby Boomers” will turn 65. It’s estimated that by 2029, there will be 11,400 Americans turning 65 each day.